Paytm, owned by One 97 Communications, has launched domestic hotel bookings on its platform. The company also plans to invest Rs 500 crore for scaling its operations and expanding its portfolio. It’s notable that Paytm also offers air, rail and bus tickets through its platform. 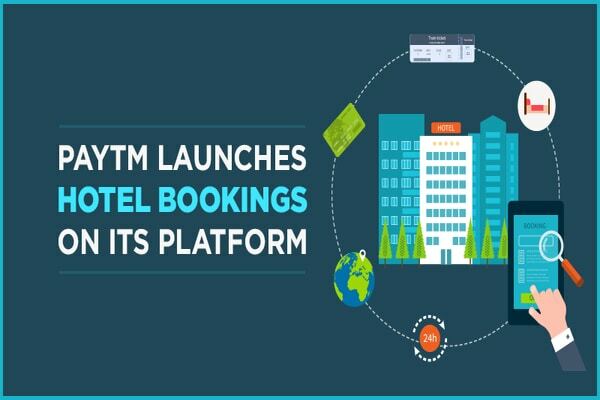 Paytm said in a statement that it has also acquired Nightstay, a luxury hotel-booking platform that offers deals on last-minute bookings, for an undisclosed amount. This acquisition will help Paytm leverage Nightstay’s acumen to further expand its portfolio in this vertical. Nasr Khan, former, Founder & CEO of Nightstay will be leading this category at Paytm and will be responsible for the overall growth and development as well. “Paytm Travel started in 2014, sells over 60 million tickets a year, and has become the leading player for IRCTC tickets, bus tickets, and flight bookings. Earlier this year, Paytm Travel also started offering foreign exchange bookings for international travelers. In the first phase of Hotels launch, the company has partnered with over 5000 hotels across the budget, luxury and business segments. These include the Zuri, Sarovar, Treebo, Vresorts, Sterling, Ginger and Bloomrooms among other marquee chains across top cities,” it said in a statement. Paytm said that it plans to have 2 million hotels and alternate accommodations globally at its platform. “With this launch, Paytm customers can access over 50,000 (daily room nights) from handpicked top-quality hotels, all of which meet Paytm’s strict standards for quality, health, and safety. The company aims to increase this number to 2 million hotels & alternate accommodations globally, with the availability of 50 million rooms within the first 18 months while aiming to become one of Asia’s leading hotel booking destination by 2020,” it said. The e-commerce portal is also planning to offer rewards & delightful experience to its customers.